DETROIT (Bloomberg) -- BMW topped Mercedes-Benz in May U.S. sales as smaller, cheaper models and fashionable SUVs helped luxury brands increase deliveries. 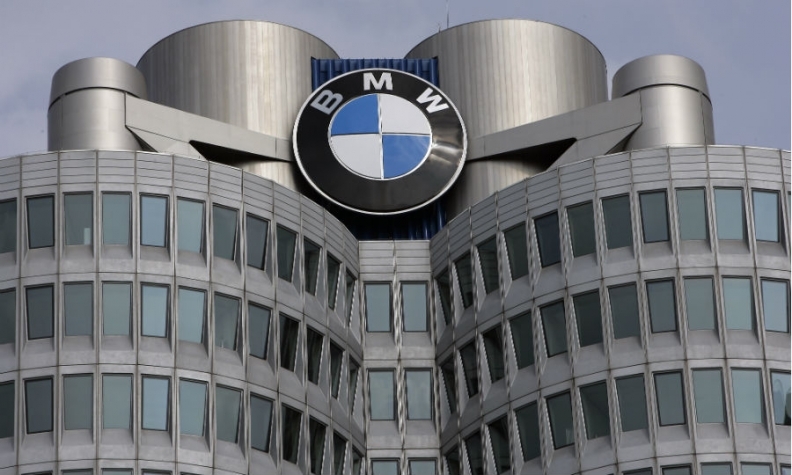 The BMW brand boosted sales in May by 17 percent, helped by an 81 percent jump in deliveries of SUVs like the X3, which more than doubled to 5,723 from a year earlier. BMW's sales last month were 29,602, helping it overtake Mercedes as the top-selling U.S. luxury brand so far this year. Mercedes reported an 8 percent increase to 26,617 deliveries, led by a 25 percent gain in sales of the E-class sedan and an 83 percent jump in the top-of-the-line S class. So far in 2014, BMW has sold 127,181 vehicles, a 12 percent increase from a year ago, topping Mercedes' total by more than 2,000. Mercedes has sold 125,118 vehicles, a 7 percent increase. Mercedes, BMW and Audi are among luxury car brands expanding with lower-cost models as they seek to capture new buyers while retaining wealthier customers loyal to their market. The strategy is hitting home as the vehicles attract individuals including younger people new to the luxury market, whose wealth is increasing as real estate values rise and interest rates stay low. Last month, Mercedes sold 1,214 of its CLA, a sporty, sub-$30,000 coupe-like compact that helped the brand take the U.S. luxury-sales crown from BMW in 2013. Sales figures for the two brands don’t include Mercedes parent Daimler’s cargo vans and Smart cars and BMW’s Mini brand, which aren’t luxury vehicles. Other luxury automakers also reported May sales on Tuesday. Sales for Audi rose 25 percent to 16,601, helped by a 6 percent gain to 3,123 for the A4 sedan and 2,261 deliveries of its revamped, entry-level A3. May was Audi’s 41st straight U.S. sales record and its second-best month ever. Year-to-date, the automaker has posted sales of 67,482, an 11 percent gain. Lexus posted a May increase of 21 percent to 26,921. Sales more than doubled to 4,403 for the entry-level IS, while RX SUV deliveries rose 9 percent to 9,476, the automaker said in a statement. For the year, sales have risen 19 percent to 115,171.